To put your mirrorless camera and lenses in a bag is one thing. To use a CAMSLINGER means to use a camera bag in the sense of a concept and it'll give a fresh touch to the way you are using your photo gear. This post will give you an idea about the new possibilities of the concept behind CAMSLINGER camera bags. 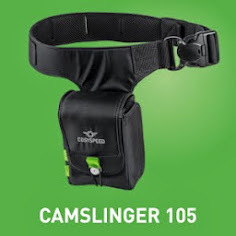 When wearing a CAMSLINGER your upper body is free just as if you wouldn't wear a cam bag at all. In this way you can take along your cam with the feeling of more freedom as if you would have a backpack or a messenger style bag. Your gear is also very comfortable to wear for many hours and it is protected. The cam just doesn't disturb you anymore while carrying around. This is a feature not to be underestimated. With a CAMSLINGER you can quickly grab your cam with one hand. And if you don't use a lens cap - what is no problem if you have a UV filter on your lens - you can also aim and shoot a photo with one hand. Have your little kid on the left arm and want to make a selfie? Just do it! Doing outdoor sports like biking or climbing? Just do a one handed shot if you like to. Out for street shooting and have a fresh coffee in your hand while the photo of your lifetime comes along? Just grab your cam out of your CAMSLINGER, have your coffee and take your photo. When not in use, the cam is protected in its pouch. You can also easily turn the bag on your back and no one would ever see that you are wearing a cam. And do you know these situations where you don't like to grab your cam out of your backpack or other cam bag? Because you just don't like to swing around the bag, take both hands to open it, grub after your cam, take it out, put the bag into a position where it does not disturb and then take the photo? A CAMSLINGER puts an end to this. The bag is on the level of your hand so you just have to move your fingers, open the flap, grab the cam and shoot. The FINGERCAMSTRAP 10 is a little but important piece in the CAMSLINGER concept. If you have fixed it on your cam, you can put your finger in it in the moment you are grabbing your cam. It is fast and it is safe. Maybe not as safe as a strap around your neck, but it helps a lot against dropping your cam. If you have a mirrorless cam without viewfinder or rangefinder style one with viewfinder – it will already fit superbly into your CAMSLINGER when in minimum volume (70 mm depth). But if one day you'll have a mirrorless cam in DSLR style or you just put an external viewfinder to your cam – that is no reason to buy a new bag. Just adjust the size of your CAMSLINGER to maximum volume (90 mm depth) and continue to use it. All this together makes a unique concept in wearing and using your mirrorless cam that you won't find in any other bag solution. To put it in one word: You are always ready for your next photo. 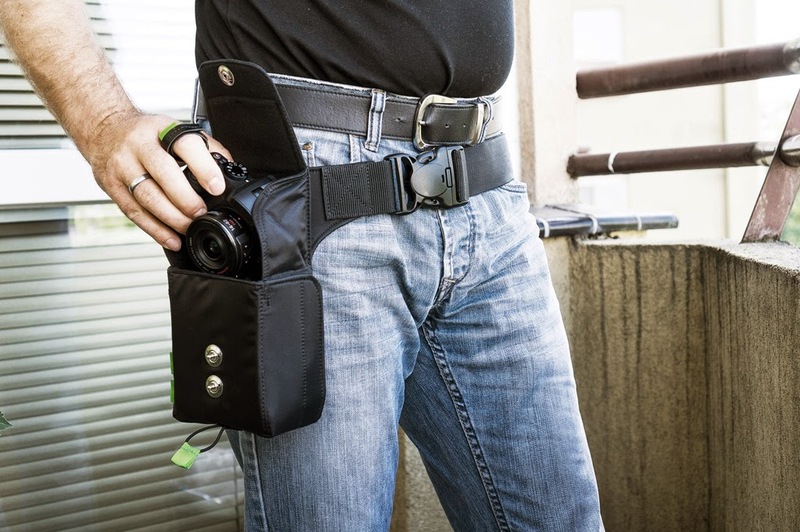 And you don't even have to think about it, so unobtrusive is this way of carrying a mirrorless cam in a protective bag (to you and others too). GER - Alle Posts sind in zwei Sprachen verfügbar. Bitte achte auf GER für Deutsch und EN für Englisch. EN - All posts are available in German and English. Please have a look for GER for German and EN for English. EN - Making of "A Photoblogger's Philosophy – Steve Huff in Las Vegas"
DE - Making of "A Photoblogger's Philosophy – Thomas Leuthard in Frankfurt"
EN - The making of "A Photoblogger's Philosophy - Chris Gampat in Berlin"
DE - Making of "A Photoblogger's Philosophy – Steve Huff in Las Vegas"
GER - Wie trägt man eine CAMSLINGER?